Viennese tenor Martin Piskorski is quickly gaining international attention for his vocal and dramatic technique on stage. Most recently, Mr. Piskorski made his role and house debut at Teatro alla Scala, performing the role of Tamino in Die Zauberflöte as well as performing in a Christmas concert for them. He also performed Der Haushofmeister bei Faninal in Der Rosenkavalier with Salzburger Festspiele. Upcoming engagements include a concert in the Neue Philharmonie in Berlin, and he will also be making his operatic debut in the United States in 2017 as Faust. Since 2013, Mr. Piskorski has held a scholarship from the sic itur ad astra (siaa) foundation. He was a member of the Salzburg Festival’s Young Singers Project in 2013 and 2014 where he sang Tamino and Belmonte in productions of Die Zauberflöte and Die Entführung aus dem Serail for children. While there he also took over for an indisposed colleague as the Count of Lerma and a Royal Herald (Don Carlo) under Antonio Pappano in 2013, and he sang the role of Faninal’s Major-Domo (Der Rosenkavalier) in 2014. During the 2014/15 season he sang Nemorino (L’elisir d’amore) at the Daegu Opera House in South Korea. Since 2009 Mr. Piskorski has been studying singing with Margit Klaushofer at the University of Music in Vienna where he performed several roles, including the Preacher in Bernstein’s Mass with the Neue Oper in Vienna, the First Elder in Handel’s Susanna, Alfred in Die Fledermaus and Don Ottavio in Don Giovanni at the Schönbrunn Schlosstheater. He also performed Rinaldo in Haydn’s Armida at the Kvarner Festival in Croatia. Mr. Piskorski gained his earliest musical experiences as a violinist with Arkadi Vinokurov. 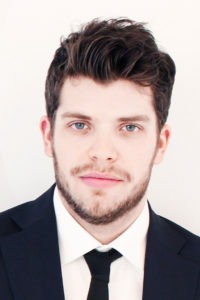 He was an alto soloist with the Schubert Boys Choir in Vienna, undertaking many national and international tours with the ensemble, including visits to Japan, Germany and Italy. In 2001 he sang the Third Boy in Die Zauberflöte at the Salzburg Landestheater.